June and July have been busy months. In June I came back to Nova Scotia to co-teach a course at Acadia University with Ken Shorely. 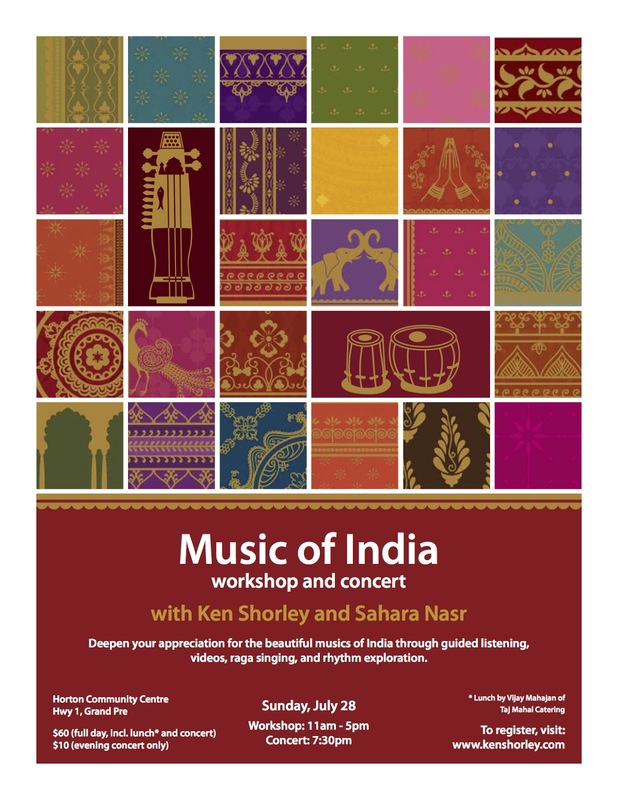 The course was called the Music of India, the students were amazing musicians, and teaching with Ken was such a pleasure. Many people here in the community expressed interest, so we decided to make a full day workshop to learn about and share this music. This is now happening on Sunday, July 28th!! Here is the lovely poster designed by Heidi Kalyani who will also be helping out with the day!